If you are solely thinking of Venice when this region comes to mind you’re not thinking big enough. 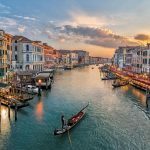 Yes the floating city is still considered one of the most unique spots on the planet but if you broaden your horizons just slightly the hidden treasures usually shadowed by Venice will appear. Strong Medieval roots still define many of its inner towns, while alpine ski resorts dot the dolomites, and prosecco flows generously. Don’t fear it's deceptive color. 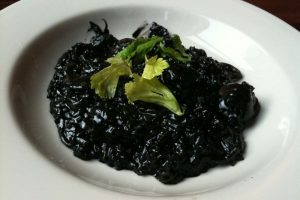 This black risotto is the result of adding squid ink to the mix and results in something spectacular. 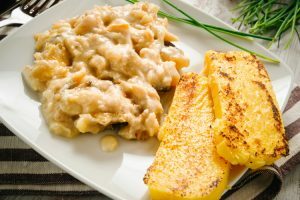 Salt cod in a creamy Gran Padano and onion sauce. Perfect with a couple sticks of fried polenta. It's true, these guys take credit for one of the most globally recognised Italian desserts. Espresso, mascarpone, and savoiardi. Simple and heavenly. A single day is not enough to fully appreciate this romantic and vibrant city. Your one goal should be to get lost in its labyrinth of streets and discover something new for yourself. The famous Piazza San Marco is always a good meeting spot, while the islands of Murano and San Michele are just a sea bus stop away. Follow the bubbles and make your way down the 20 mile stretch from Conegliano to Valdobbiadene. 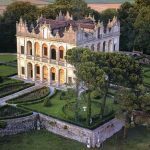 This trip is more commonly known as the Prosecco Way and is packed with wineries that offer the highest standards in Agriturismo. Venture out and explore the other cities that make this region renowned. 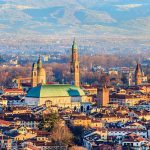 Padova, boasts a university that has its roots back in the 13th century, or Verona, the famous setting for Shakespeare’s most iconic play. Treviso, a city that was once under venetian control, offers just as much with half the tourists.